Announcing our Public Reception with the Artists for the current exhibitions in the Esplanade Art Gallery: Aaron Nelson: Connectivity and The Hat Art Club and Medicine Hat Potters Association, Thursday November 21 at 7pm. As a craftsman, a clay expert and the Artistic Director of the Shaw International Artist Residency program at Medalta Historical Clay District, Aaron Nelson has a very broad and deep view of making craft today. To create the art in this surprising, smart and fun exhibition he investigated how to mesh sophisticated digital technology with traditional ceramics, and explore ideas about networking and connectivity. 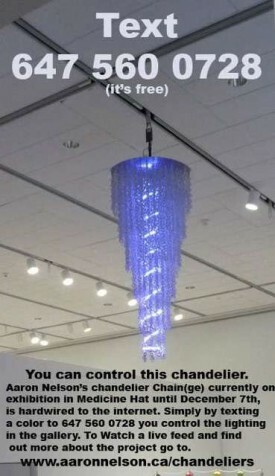 News Flash – This chandelier is hardwired to the internet. Constructed of over 7000 porcelain tea cup handles fused together into hundreds of chains and illuminated from within by 300 RGB LEDs, this piece responds to you. What colour would you like to see? Text the number, type a colour, and in 30 seconds… it changes. 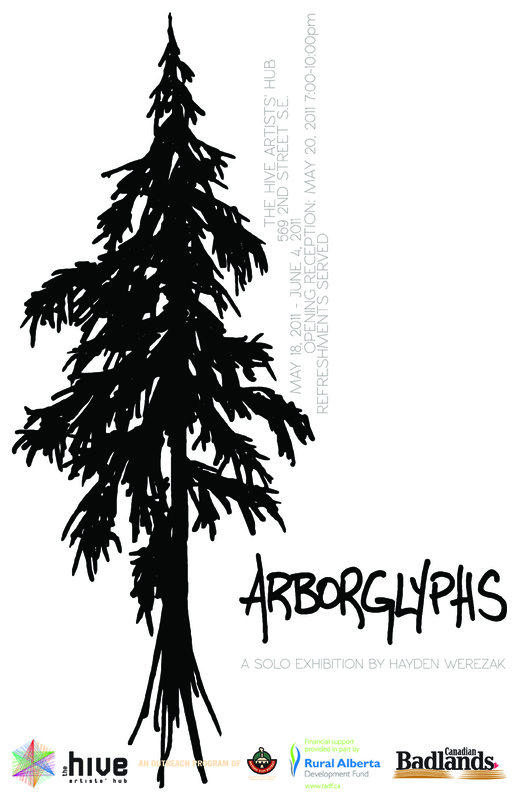 On Thursday November 21, Aaron Nelson will give a free tour of his exhibition during the reception. Members of The Hat Art Club and Medicine Hat Potters Association will be on hand to welcome everyone to their exhibition at the Esplanade Art Gallery. Immersed in Waterton is a solo exhibition of works by photographer Tom Willock which features eighteen traditional silver gelatin black-and-white prints from two of his earlier series titled The Elements of Wilderness and Images of Waterton Glacier International Peace Park. The photographs express the power of the vastness and beauty of this breathtaking mountain park which straddles the Canada-U.S. border in southern Alberta. The subjects depicted in the images range from frozen cascades to reed-filled ponds and from groupings of delicate maple leaves to forests dense with lodgepole pine. Willock captures a sense of place with each photograph and explores our inherent connection to nature. The images are intimate and intuitive records that are infused with our sense of belonging. 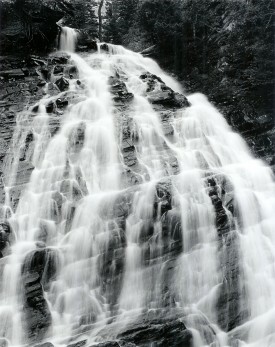 For more than forty years, Willock has been photographing the natural environment of southern Alberta in the large-format medium and developing film himself in a traditional darkroom to produce skilfully composed and technically impressive works. The director of the Medicine Hat Museum and Art Gallery from 1978 to 1998, he now lives in Banff, Alberta, where he runs the Willock and Sax Gallery with his wife, Susan Sax-Willock. Sunday, September 29, 2013 from 2:00 to 3:00 p.m. In Print Exhibition Opening Tonight! A newspaper’s front page has long been a ubiquitous part of many peoples’ lives. It is often the first point of reference when big news breaks anywhere in the world. The headlines call to us and even though the images are often iconic, few can name the source they originally came from. How can it be that one of the most important communication tools of the past 500 years can be taken for granted? 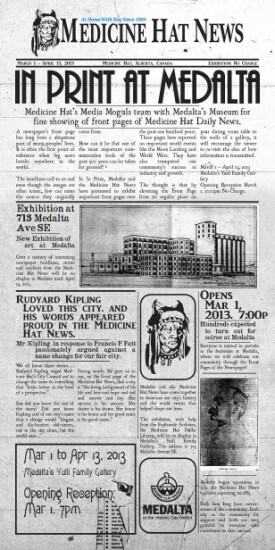 In this exhibition, Medalta and the Medicine Hat News have partnered to exhibit important front pages over the past one hundred years. The thought is that by elevating the Front Page from its regular place on your dining room table to the walls of a gallery, it will encourage the viewer to re-visit the idea of how information is transmitted. The Esplanade Art Gallery is pleased to present two new exhibitions, Deanna Bowen’s Stories to Pass On… and 365 Collective’s Relate, on display until April 15. 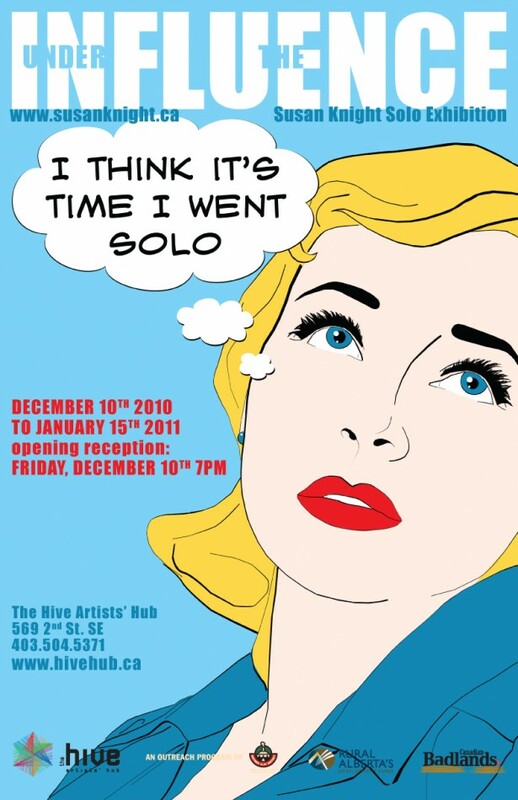 There will be a public opening reception on Friday, March 2, 2012 at 7 PM. Also, in conjunction with Deanna Bowen’s art exhibition and to celebrate Black History Month, there will be an illustrated presentation by the Museum Curator, Robert Bruce Shepard, entitled “Black Pioneers of Western Canada” on Wednesday February 29 at 7 PM. 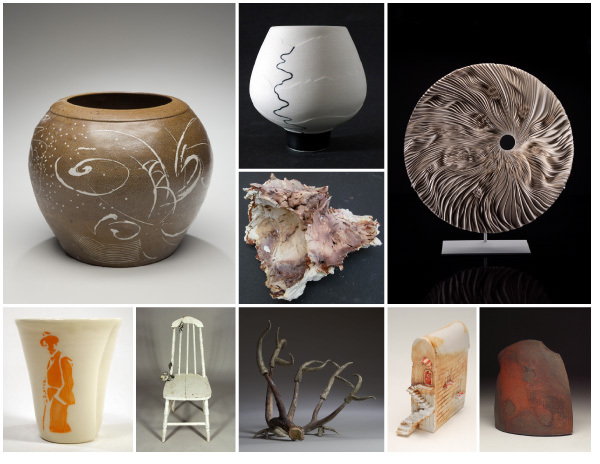 Through the month of July, nine artists from Canada and the United States are visiting Medicine Hat and working in Medalta’s contemporary ceramics studios. On July 28 (7:00pm), Medalta’s open house and art reception are taking place, providing an opportunity to meet these artists who have spent the month in our community. As members of Medicine Hat’s cultural community, you’re encouraged to attend and show these visiting artists how much we appreciate the Arts in Medicine Hat. Sukjin Choi, who is leading this month’s residency at Medalta, is a Korean artist, educator and writer currently working in Virginia. Her practice ranges from the seemingly effortless production of traditional Onggi jars, to the large scale multimedia installation art. This is a no-charge, informal event. Complementary food and drinks will be served. For more information, check out our newly-designed website. Hayden’s Bio: Trees I find to be one of the most fascinating things. My fascination with this part of creation inspires my retelling of these growing works of art. I seek to capture trees either carved or etched on wood, slate, and marble. Born and raised in Calgary, matured in the North Saskatchewan River valley and the Cypress Hills, I currently reside in Medicine Hat, with my wife Aryn. Susan Knight is a self-taught photographer and digital artist. She lives and works in Medicine Hat, AB where she specializes in interpretive self-portraiture. In addition to her natural creative flair, Susan has found that her formal training as an interior designer and architectural experience enhances her ability to express herself though her art and allows her to bring a unique eye to commissioned works. 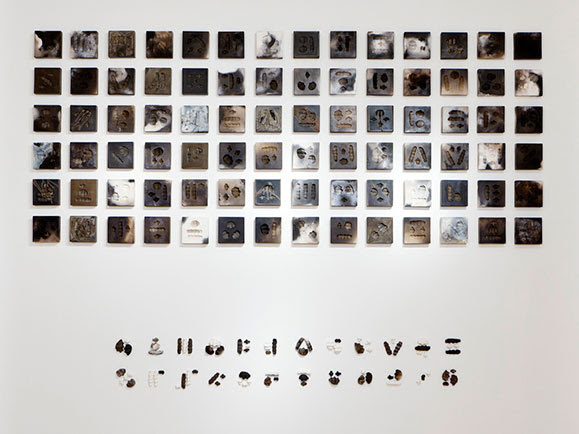 Susan’s current primary project, “In the Style of…”, is a study of the construction of personal and artistic identity through style. Using the media of costume, make-up, backdrop, and her own form, each image is thoroughly researched, meticulously plotted and digitally enhanced to create a work that is completely new yet also true to the style of selected greats from the history of portrait artistry. Through these images, the viewer can see a familiar face transform under the artist’s touch and how the artist’s craft claims and forms the subject yet works to reveal the true, constant character lurking beneath the surface. 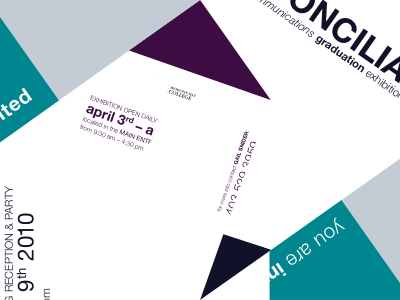 It seems Medicine Hat Media has been left out of the Visual Communications graduation show media release for the second year in a row. This is the last time we will advertise for them! Just kidding… or am I? The exhibition for the graduation show is open daily between April 3-12 from 9:30AM and 4:30PM in the Medicine Hat College’s main lobby. The reception happens on Friday, April 9th, at 7:00PM, which coincides with The Children’s Hour that starts up at 7:30PM on the 9th. I have received an invitation through my place of employment for the grad show, but it does not give too much information about what you can expect by attending the show. So judging by their website, reconcilehere.ca, it looks as though there are drawings, paintings, photographs, graphic design and perhaps sculptures. I am a sad panda that this website was not submitted to http://www.medicinehatmedia.com to raise awareness for the reception! I hope this years graduation show is not advertised to be environmentally friendly, like last year’s Lost & Found show, whose organizers purchased huge amounts of corrugated cardboard to be connotative of the theme, which was probably just thrown out afterwards.